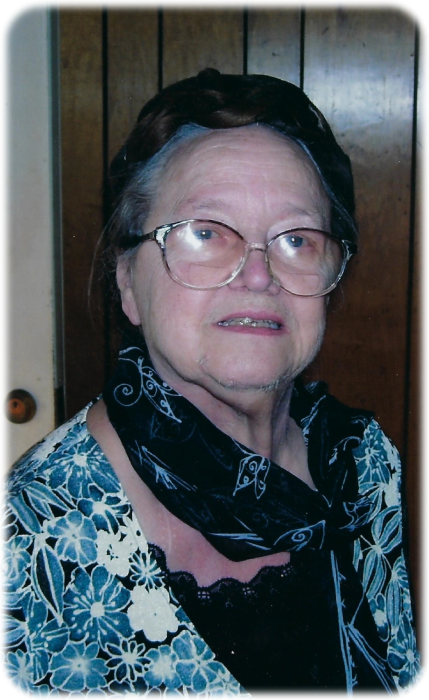 Helen Ruth Tackett, age 85, of Hi Hat, KY, widow of Goble Lowell Tackett, passed away Wednesday, January 16, 2019 at the McDowell Appalachian Regional Hospital, McDowell, KY. She was born August 3, 1933 in Long Fork of Virgie, KY, a daughter of the late Charles Ervin and Maudie Kay Holbrook Tackett. She believed in the Old Regular Baptist faith and was a retired self employed business woman. She is survived by her daughter; Sheila Lynn Tackett (Carl) Johnson, Hendersonville, TN, two sisters; Pauline Lalich and Dorothy Coleman, both of Indiana and one grandson; Stephen Lowell Johnson. In addition to her husband and parents she was preceded in death by five brothers; Elyses, Forster, Lee Gene, Donnie and Charles Tackett Jr., two sisters; Truely Bell Tackett and Laura Dixie Caudill. Funeral service will be conducted Saturday, January 19, 2019 at 1:00 p.m. in the Hall Funeral Home Chapel with the Old Regular Baptist Ministers officiating. Burial will follow in the Davidson Memorial Gardens, Ivel, KY, visitation is after 4 p.m. Friday at the funeral home with church service at 7 p.m., under the professional and dignified care of the Hall Funeral Home, Martin, Kentucky.